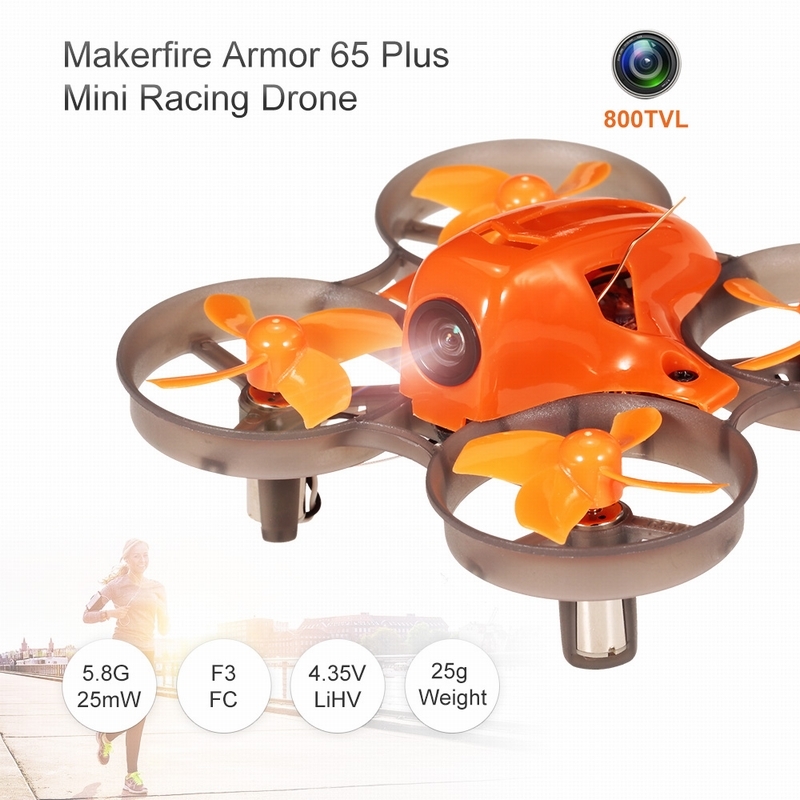 Makerfire Armor 65 Plus is a nano multirotor racing quadcopter FPV brushed drone which is designed for beginners who is going to enter the FPV world, and FPV fans who are looking relaxing indoor flight. 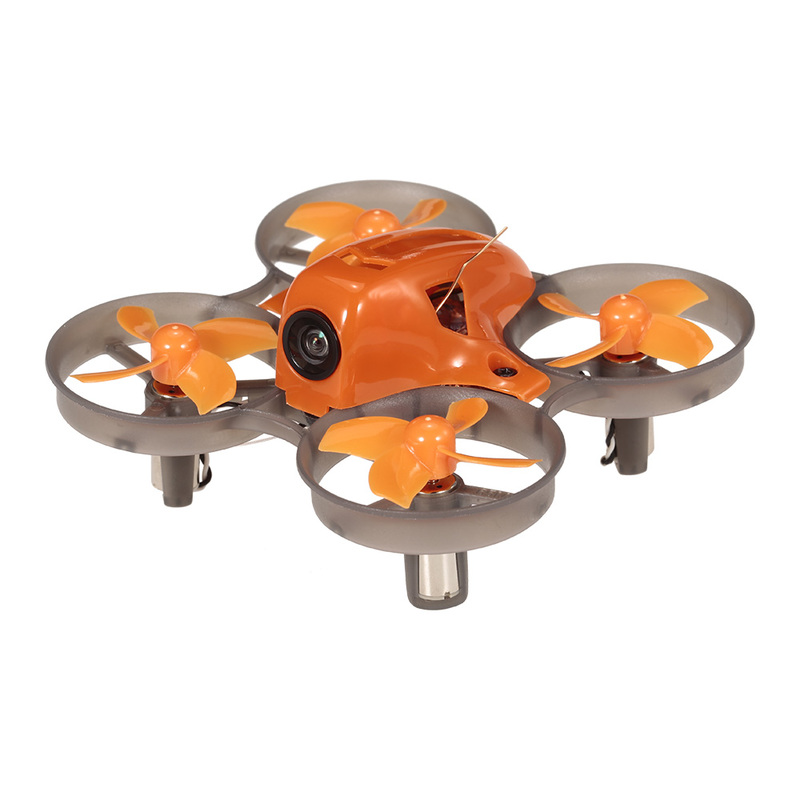 Small size but powerful and perfectly safe to fly. 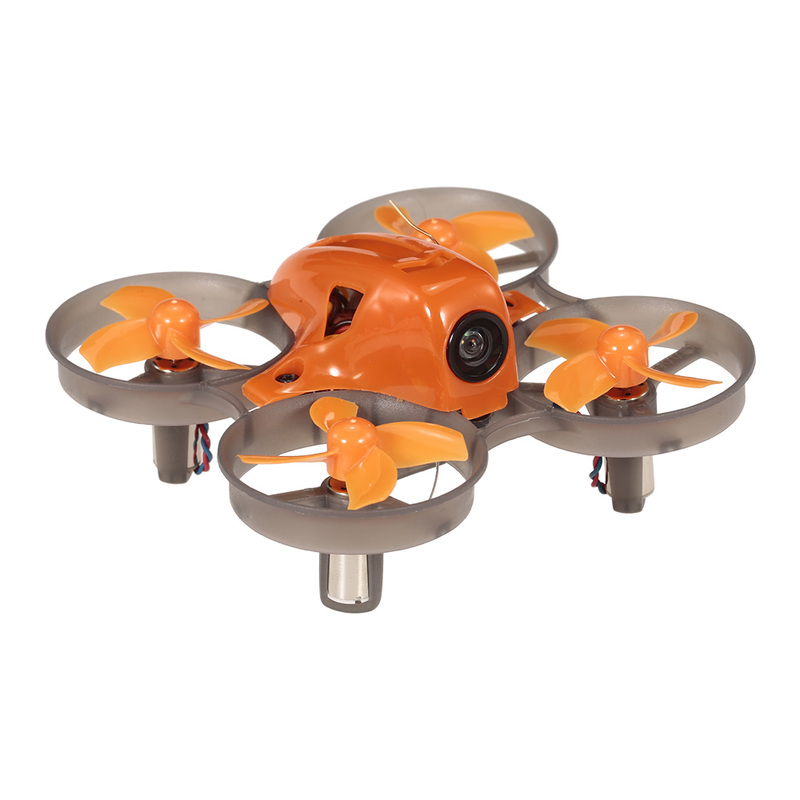 Small size and lightweight, perfect to fly indoor. High power LiHV battery provides more power. 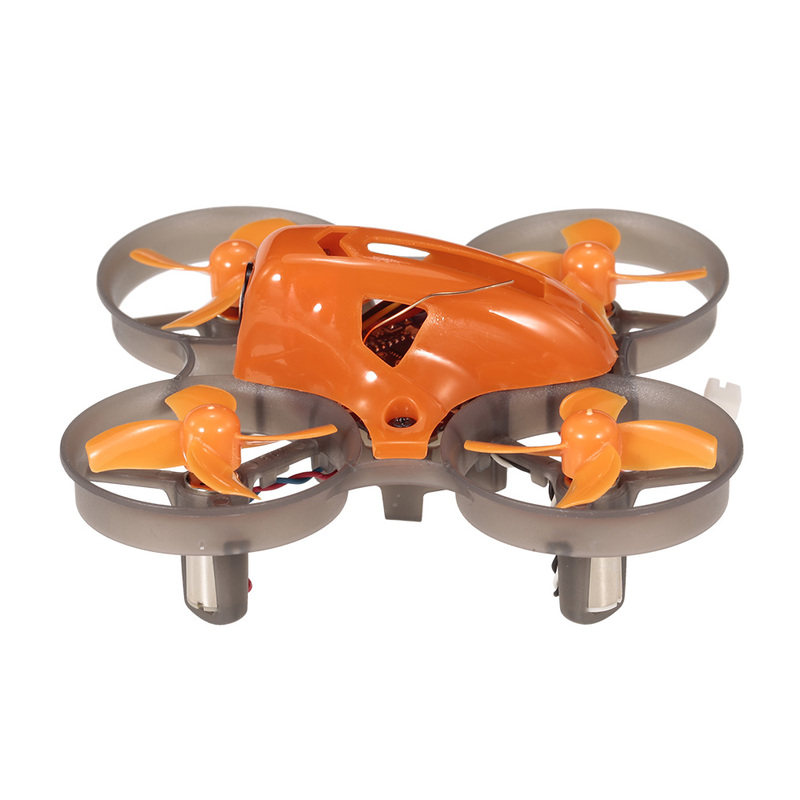 F3 flight controller with Betaflight firmware, easy to configurate. 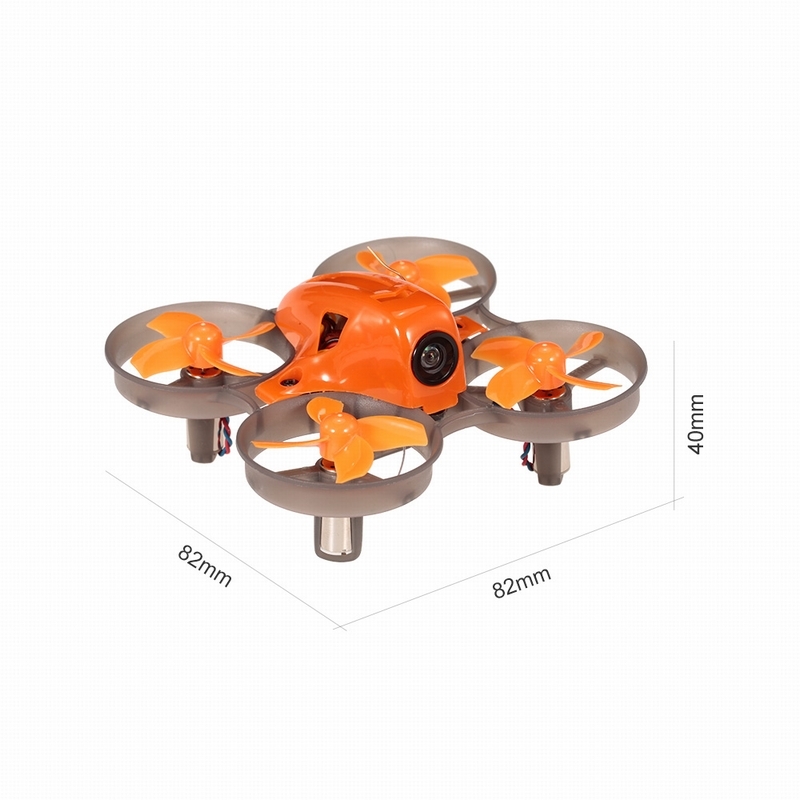 High quality 716 motor which is powerful and durable. 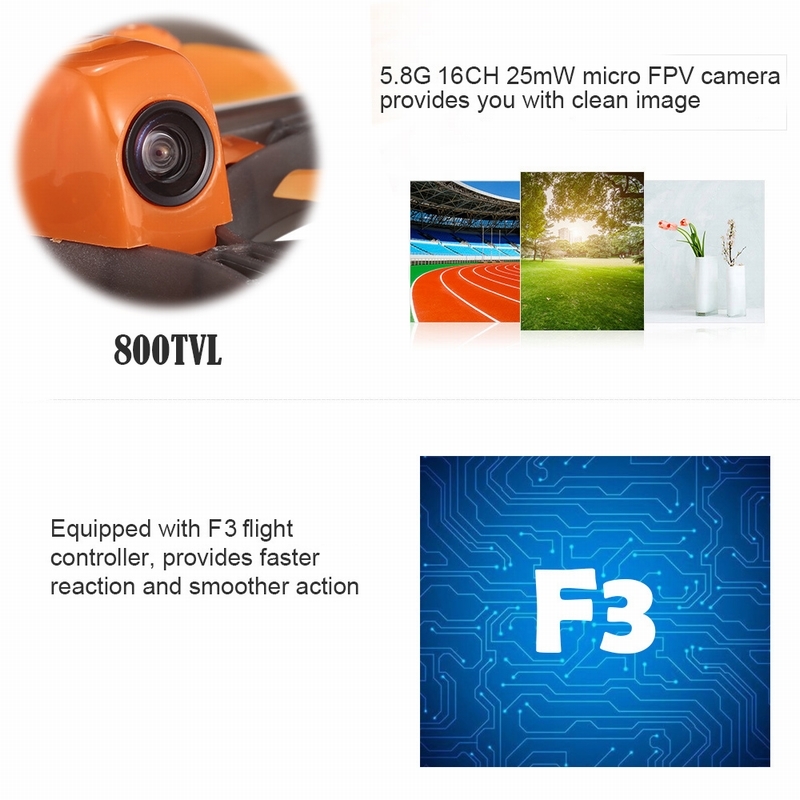 5.8G 800TVL FPV camera with 25mW 16CH transmission system for clear view. 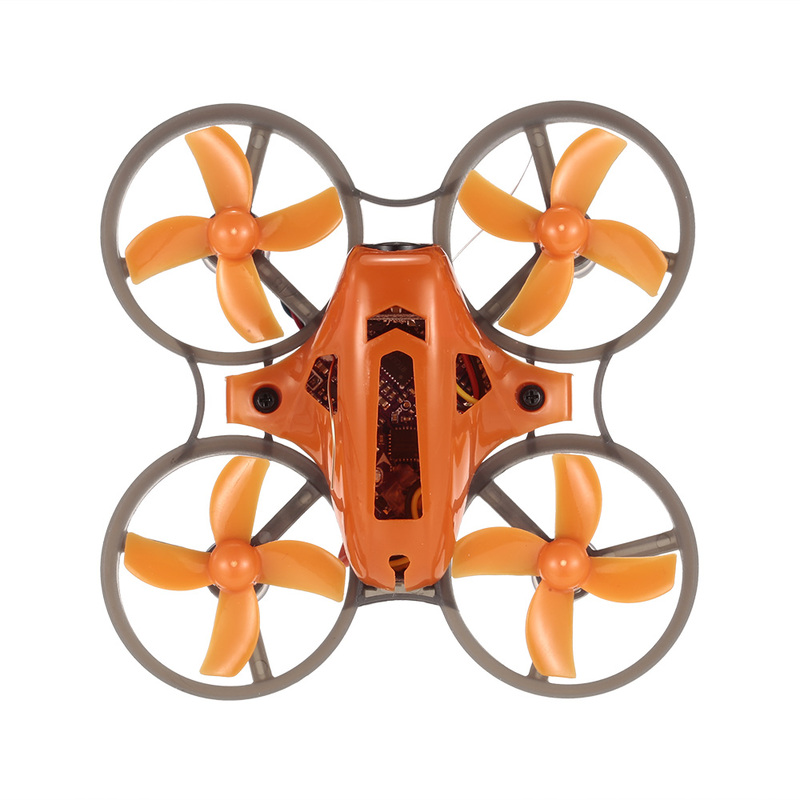 This BNF version without remote controller. 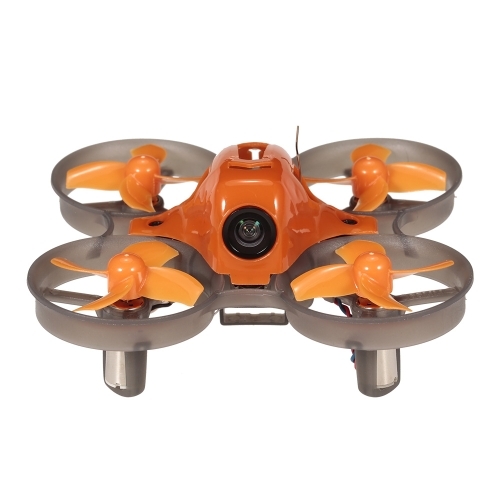 Compatible with all FrSky remote controller.